and not cleaning out the filters of the body - the kidney, liver, colon, etc..
... but it does not have to be. The general health of your life can be measured by your mental health... If you have assorted problems, your brain can suffer terribly. 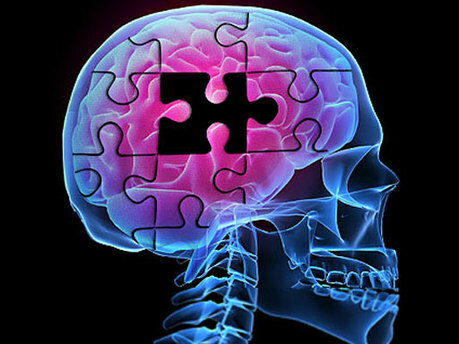 Although the brain is well protected at age 30, 40, 50, or more can be in serious trouble. the memories get slower and slower to the point that they are no longer available to be accessed. ​These memories do not disappear, but merely are buried. ​- this includes the brain. no longer are able to move from cell to cell. Memories are there but are fuzzy or seem no longer in your mind. With this acid condition there are many other diseases, but losing your memory seems like the end of the road... but it does not have to be. ​the changes for your mind and the rest of your body..
Arthritis is caused by toxicity which causes this inflammation. (NaturalNews) Lyme disease is the most common tick-borne infectious disease in the US. It's transmitted to humans spending time in woodsy areas and from ticks on dogs. The Borrelia burgdorferi bacteria causes Lyme disease and arthritis, manifesting in a multitude of symptoms ranging from rheumatoid arthritis, to fibromyalgia, chronic fatigue syndrome, neurological states, Bell's palsey, meningitis, heart and lung symptoms. Untreated, Lyme becomes deeply entrenched in the body, developing into an auto-immune disease. Although there is a blood test that can confirm Lyme disease after the fact, the traditional diagnosis is usually made from the constellation of symptoms presented by the patient. Antibiotic therapy is the conventional treatment; often suppressing symptoms, driving them deep into the tissue, to surface years later in a wide range of troubling diseases. This article is a is a brief overview of several of the many effective alternative medicines known to prevent and treat Lyme disease. PreventionIf you have a dog and live in a tick-infested area, treat your yard early in the season with diatomaceous earth. Spray bushes with a mixture of natural pyrethrins, garlic and dish soap. These substances destroy ticks and lessen your chances of being bitten in your own yard. Take colloidal silver for three to five days before spending time out doors during tick season. Colloidal silver is anti-microbial and kills a wide range of bacteria, acting like a natural antibiotic. The homeopathic nosode made from B. burgdorferi may prevent the onset of Lyme disease after being bitten, as well as helping to cure it in its later stages. Early exposureIf you you've been bitten by a tick, start taking colloidal silver immediately. Additionally, other natural antibiotics such as Pau d'arco tea, garlic and Echinacea extract may prevent the onset of infection. The homeopathic remedy Ledum treats puncture wounds from venomous insect bites. It should be taken right away after being bitten together with colloidal silver. If you've developed flu-like symptoms in the early stages of lyme disease, the homeopathic remedy Gelsemium should provide relief. It relieves fever, headache, body aches and pain, stiff neck, muscle pains, weakness, and a sensation of heaviness. Within weeks to months, Lyme disease may progress into neurological symptoms such as Bell's palsy, meningitis, paralysis in the limbs and poor motor coordination. Heart and breathing problems might develop. Homeopathic remedies that may relieve neurological symptoms are Causticum, Tellurium and Sepia. Additionally, the herb Cordyseps improves stamina, increases energy, reduces weakness and fatigue, and increases lung function, relieving breathing difficulties. Various neurological conditions mimicking serious diseases such as MS, ALS, and Parkinson's may develop in later stages of Lyme disease. The Peruvian herb Samento, or Cat's claw, has been shown to be highly effective for treating neurological disorders. Samento corrects immune dysfunction, blocks the action of certain neurotoxins, and has an anti-microbial action on the B. burgdorferi spirochetes. The most common symptoms of Lyme disease are rheumatoid arthritis and other musculoskeletal pain and arthritis disease that linger for years. Homeopathic Rhus toxicodendron is the main remedy, especially in long-standing cases where there is suppression from antibiotics. The arthritis or fibromyalgia pain is usually worse on the left side and on first movement. Painful areas get better with continued motion of the affected part. There is stiffness and soreness which is better with warm applications. 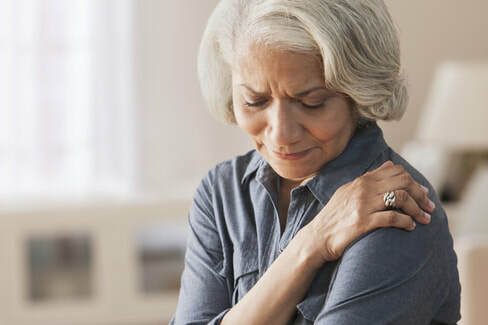 Other homeopathic remedies that may offer relief for lyme arthritis are Kalmia latifolia, Pulsatilla, Lachesis, Lycopodium, Ruta graveolens and Phosphorus. Don't self-treat with Lyme disease and arthritis. Consult a natural healthcare practitioner or an integrative treatment center for care.